Once upon a time, provided one had the money, some knights could be hired for pay. They were the original freelancers: possessing a horse and a lance, and with no bond of loyalty to a lord, they were free. 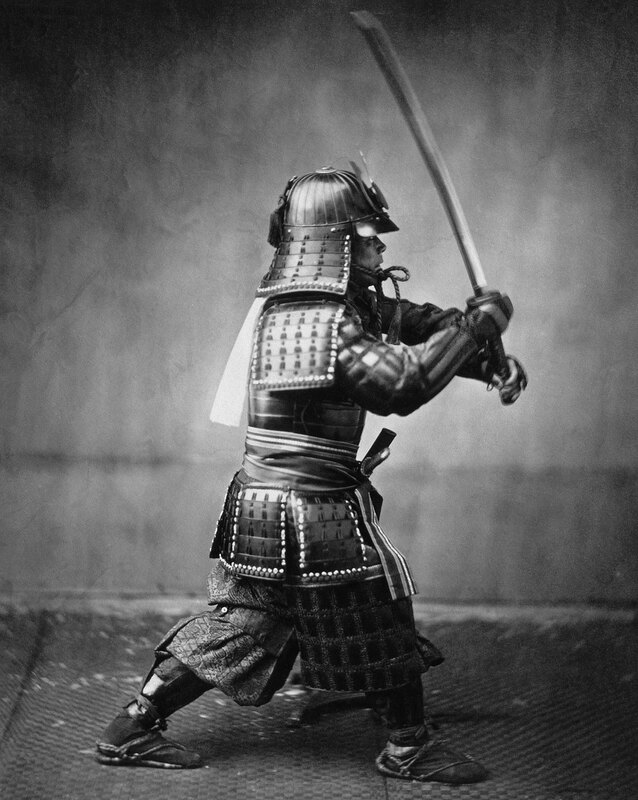 In feudal Japan the equivalent was the ronin, the masterless samurai famously depicted in Akira Kurosawa’s films Seven Samurai, Yojimbo and Sanjuro. The direct modern descendent of the knight-for-hire and ronin is the mercenary. But as I sorted out my purchase and sales ledgers yesterday evening, I romantically imagined that I also belonged to this tradition. The knights and the ronin probably spent little time searching for mislaid receipts and invoices, but as free men offering their extensive skills in an open market were they not my spiritual ancestors…? Well, probably not. But it’s a thought worth holding onto while completing a tax self-assessment form. And I am drawn to what might be termed the freelancing philosophy. At the heart of this is the idea of having obligations only to oneself, of being free. Being bound to an employer (the modern equivalent of the feudal lord) is an uncertain business. Some are great and will value both you and your work; others, no matter what excellent service and loyal, even self-sacrificing, commitment is rendered them, treat their employees as little more than numbers in budgets and will terminate the bond without even so much as a farewell. Far more appealing is to work for yourself, since few people will esteem you or your work as highly as you do. Of course, there are still budgets to worry about, but at least you will value yourself enough to want to continue employing you. So one reason for going freelance is to step out of the occasionally ruthless, devaluing world of working for an employer and to step into the always caring, valuing world of working for oneself. That may sound like a negative reason; surely freelancing is not a choice made merely because the alternative is generally worse? Indeed, to become a freelancer should be seen as a wholly positive decision. In my case it was a choice that I had long been drawn towards but had lacked the confidence, or what I thought to be the right circumstances, to venture my first steps along this path. Recently, however, everything seemed right to make a go of it. And now, having advanced a few paces, I’m determined to keep going—for there is so much to love about this journey. I love the feeling that (HMRC notwithstanding) I make the rules of my work. I can try different things, explore new directions, knowing that I am answerable only to myself for my decisions. If I have an interesting idea for a project I do not need to seek the approval of an employer to start working on it. I can freely pursue leftfield ideas. I have flexibility when it comes to choosing among the opportunities which come my way, and can focus on areas that I am passionate about. I have greater control over my time, and am able to allocate it throughout my life in ways that are meaningful to me. I am responsible for my success and failure—and that’s quite a motivation for devoting energy and effort to ensure the former. Of course, freelancing is far from easy. I’ve only just begun this new life and have quickly realized how much there is to learn. Marketing and networking, accounting and tax returns, balancing time and money, pitching ideas and experimenting with projects, and learning (as the medieval knight must have done) about getting back on the horse again whenever one falls off. I foresee numerous challenges and uncertainties ahead—which is precisely what the knight and ronin would have relished about the quest.